Wilkesboro NASMOWER | Do. Be. Interesting. My sister asked me if I wanted to go to the lawn mower races. 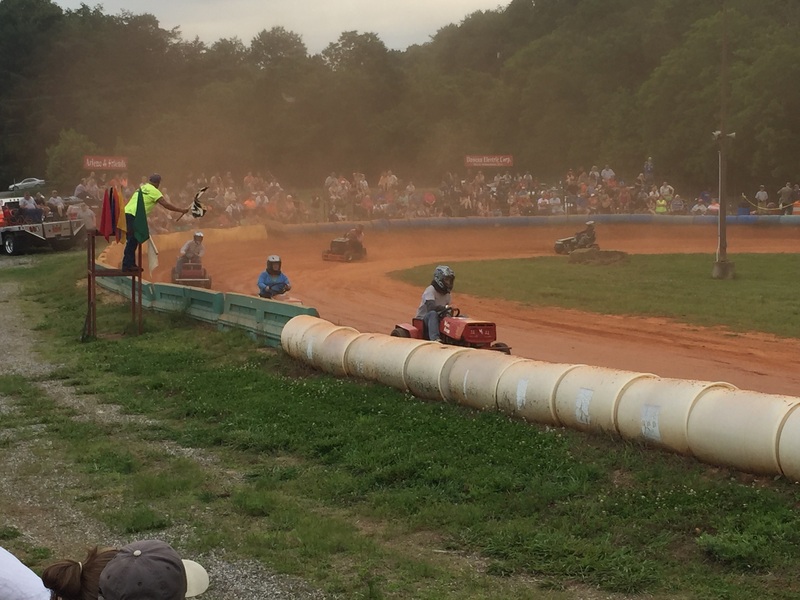 If NASCAR is the national sport for rednecks, then lawn mower racing is the hillbilly edition. Well, this is North Carolina and our hillbillies are a little more diverse and refined. And our lawn mowers are faster than yours. As I sat in the grandstands and marveled at the machines and their mounts circling the track at breakneck speed, I was particularly drawn to one driver in a cornflower-blue sweatshirt who pulled ahead of the pack, sliding around the corners and passing driver after driver seemingly with ease. She was a small, pleasantly plump older woman who, if you saw her on the street, you would imagine being more at home doing a little antiquing with the grandkids than pushing a pimped-out bright orange racing machine to its limits on the speedway. But what intrigued me most was the expression on her face as she dominated the race. I looked for any sign of joy, excitement, terror, triumph… anything in her demeanor. By her stoic expression and posture, you would have thought she was out for her daily commute. I expected her to reach down for her coffee at any moment. 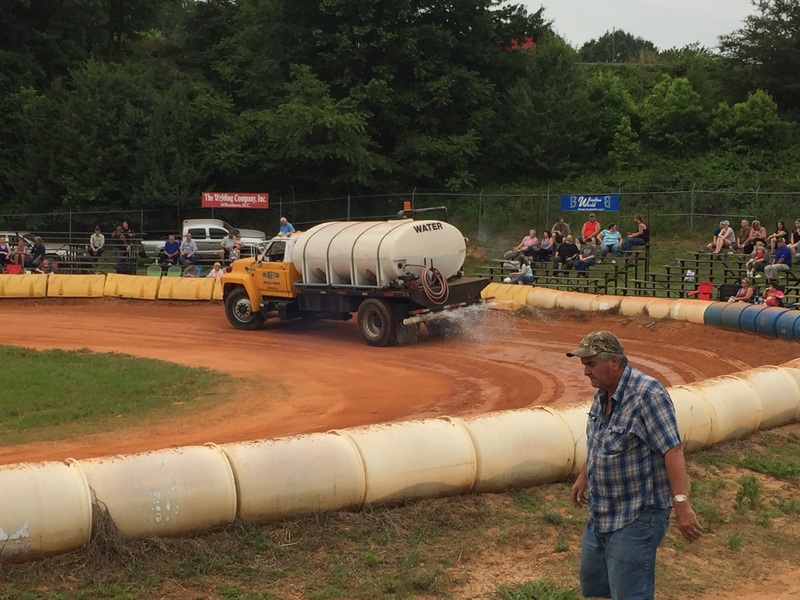 The lawn mower racing equivalent of the Zamboni. Previous articleYou’re an Idiot. And I can prove it.